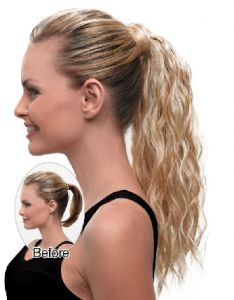 Ponytail hair extensions are one of the most versatile hair extensions. 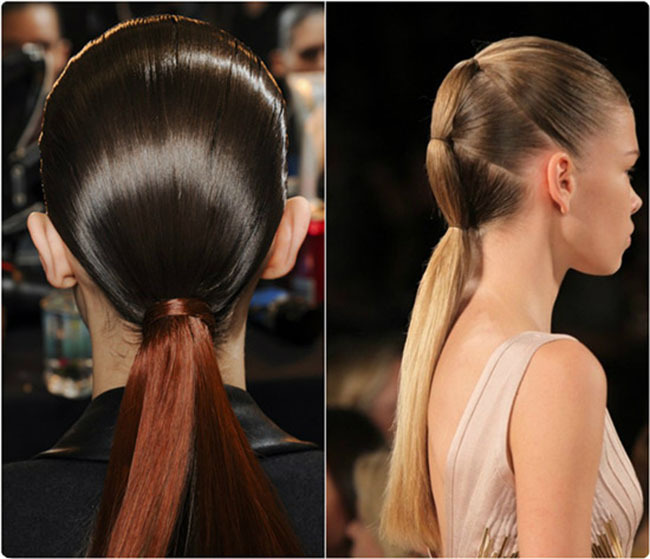 Just by simply applying the extensions to wearer’s existing ponytail, a gorgeous longer ponytail can be styled. How to make clear whether one pony extensions are natural and of high quality? Take the ‘PONY HAIR’ into consideration, which is a collection of both positive and negative reviews of ponytail extensions in all stores. The Summer is upcoming, the hot weather is upcoming. Tons of women would love to keep their hair off the necks to avoid sweating. Rocking a Ponytail Hairstyle is one of the method to avoid Summer heat. A ponytail is the one most synonymous with comfort and simplicity. If you’re wondering which ponytail hairstyle to perfect your ponytail. Here, i have pick up 10 of the stunning ponytail styles to give you some inspiring. If you’re sick of having a droopy ponytail, a very easy way is to high it up. 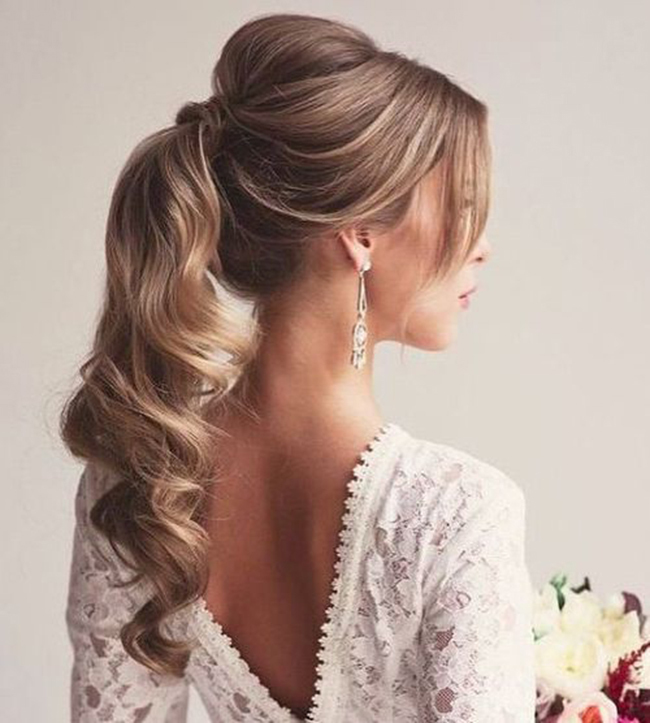 What you need to do is tilting your head back while making a ponytail, which will make the ponytail much tighter, then put your ponytail way up high and add volume to it. The high ponytail style will elongates your face, catch eyes to your cheekbones and make you feel confident. To recreate Olivia Wilde’s cool take on a classic pony, pull your hair up at the crown of your head and secure it with a clear elastic band. Next, section off 1.5-inch sections with clear elastics all the way down your ponytail. Then, pouf out each section of hair by gently pulling on it to create the bubble effect. It looks so chic and moreover, it’s easy to achieve too,. Bubble ponytail is simple and stylish! It takes 10 minutes to do. So all the busy ladies, check out the bubble ponytail style. 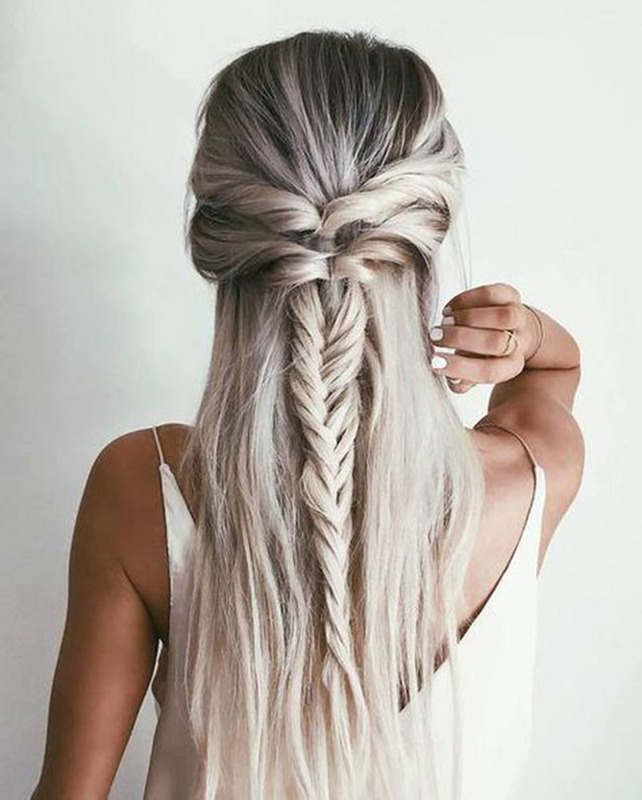 Pull up half of your hair and secure it with a clear elastic. You can also pull back some pieces to give the top section of the hair some volume, if you don’t it completely slick back. Take a section of the hair in the half-up ponytail and wrap it around the clear elastic till you get to the end of your hair. Then pull the small section of hair through the clear elastic and keep it stay in place. Once the section hair is threaded through the elastic, pull downwards to tighten the hair wrapped around the ponytail to ensure that the hair completely cover up the elastic. Tease the part of ponytail to give your first bubble volume. Repeat Steps 1-3 until you get to the end of your hair! Remember to tease the bubbles every time you make one, so it will look fuller. Tug at all of the bubbles to loosen them up a bit and to give them a little personality. You can change the bubbles size, make it even or messy, tug them as you like. That’s it, you got this bubble ponytail hairstyle. A side ponytail hairstyle is created by pulling hair to the side where the ponytail will be and securing it with a elastic. 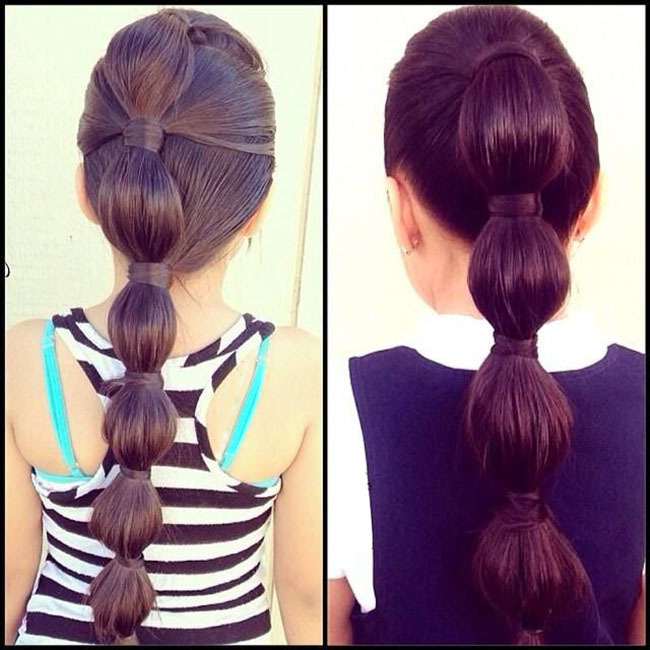 You can pick left or right side as you like for your ponytail lay on. And the pull all your hair to the same direction you want. Use a elastic to secure the hair in position. You can tug some hair up from the elastic to give it some volume. It’s almost done, also you can wrap a length of section of hair around the elastic base tie to make your side ponytail look more chic. 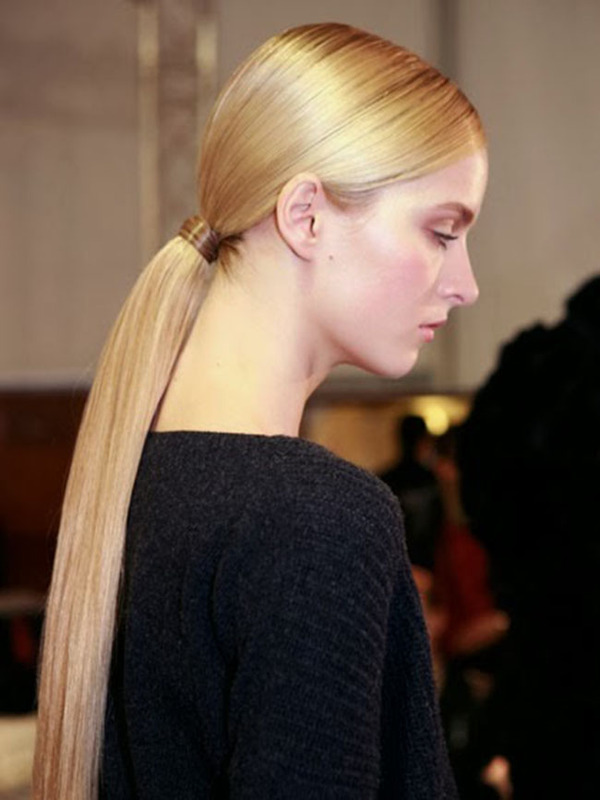 If you have a head of straight long hair, this sleek low ponytail hairstyle will be great for you. What you need to do it use a brush to direct your hair back, then smooth some hairspray for your hair to calm any flyways and add shine. Then pull your hair into a low ponytail with a elastic, the last step is that warp a section of hair around to cover the elastic, make your sleek low ponytail style flawless. This style is easy to achieve and low maintenance, very perfect for daily wearing. 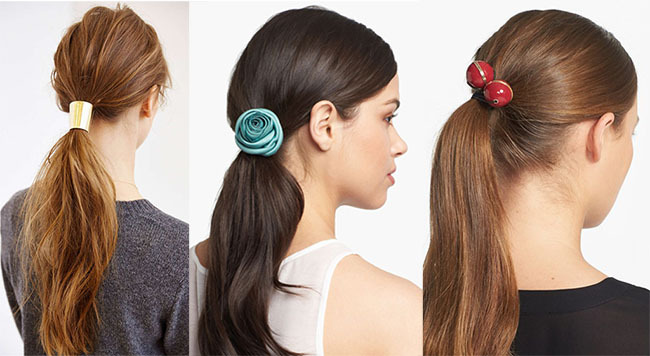 Get your style of ribbons, hair bands, ponytail holders and creative hair clips to embellish your ponytail is an easy way to show your inner thought and give you a different look. If you’re blessed with amazing texture hair, make your ponytail with the volume or wear it messy at the top of your head. Whether you are attending a social gathering or work, this easy style is just the right fit. This style looks nice, especially gorgeous when your have thick straight hair. If you want to kick it up another notch, don’t just wrap your ponytail with your own hair, braid that piece first. This style is surprisingly easy to accomplish and looks so impressive. It will not only make you look youthful but also will make workout easy for you. A multi-strands braided ponytail is quite chic and elegant for formal occasions. Whether you wear a suit or an evening gown, this hairstyle will be there to make your overall look more sophisticated. There is no doubt that the high ponytail hairstyle plus the fishtail braid may take you some time to achieve, but it definitely can catch eyes for you at least for two days. What a stunning ponytail hairstyle. If you’re boring with your sleek ponytail and want to try some eye-catching style. Have a try to ombre your ponytail. The ombre ponytail is quite simple to create. Comb all the hair back. Create the front hair into a strand and combine the hair ends back and comb into a low ponytail. Use an elastic band to fix it. Use a one-inch section of hair to hide the elastic. You can ombre your hair as your like. Have fun with this style. The quality of this claw clip ponytail piece is satisfying. Although it is made of synthetic fiber, it does not feel like that. It touches soft, smells good, and looks fantastic. However, they sent me the wrong color. I ordered light brown, but they gave me the middle brown. I wanted to return the hair, but the guy contacting with me seemed to be not so nice. She rejected my requirement again and again, and she even asked me to dye my hair so that it could match the hair color. Damn it. It is not the matter of money. I do not want to destroy my natural hair. I dyed it frequently in the past so it was fragile now. At last, she decided to give me some discount for my next order. You know, I might not buy anything from this store. But I was tired of arguing with them. Maybe I will send the hair piece to my friend. The Ultimate Looks tops the list when I want to buy a pack of ponytail hair extensions. I am a royal customer of it, because of its offering high quality ponytail hair extensions to me in the past two years. Just like my own ponytail hair extensions, bought from this store as well, this provocative hairpiece looks good, feels good, and touch soft. Although it is made from synthetic fiber, I feel nothing like other synthetic hair extensions. The price of the extensions is rational, costing me $51.5. It took me 5 days to receive the extensions, a relatively fast speed. Don’t waste your money in this terrible, silly fake ponytail hair extensions. Don’t consider it a good chance to save your money by buying a very cheap ponytail extensions, don’t trust any positive review written on the product pages. They are all fake, just like the product. The extensions is vey fake & synthetic looking. It can not even match my natural hair a little bit! My natural hair is very healthy & shiny. When under light， it looks even more fake. After I received the extensions, I once thought about returning it to get refund back. But it took me several days to argue with the onwer, and no result was made before I gave it up. The short ponytail hair extensions is so good. It is a nice little piece, and it is very easy to use. It is perfect for me to get rid of my dilemma hair length, so that I can make a good transition through the growing out phases. You know, it looks weird to wear a very short ponytail, but I don’t want to let my hair down from time to time. The only complaint about thhe extensions is “dark brown” is actually more of a level 5 brown, and my hair is a level 3, so the extensions are too much for me. But the extensions matched my friend’s hair so good, and the quality of it is so good. I will palce another order for my medium brown hair later. I received the ponytail hair extensions one month ago and wore it often, but now it still keeps in good shape. I selected the golden wheat and white blonde piece, and I love the shade and the hair. The application of the pony is so simple, taking me only a score of seconds to attach the extensions to my existing ponytail. After the applying, the final result satisfied me a lot, because it looked so stunning. I once wore it side-swept pony and standard pony, all looking beautiful. The piece of pony is pretty long, and the hair is so soft, like my natural hair. The curly texture is exactly what I want, offering me a full head of voluminous hair. The delivery took me about 10 days. It is the only one unsatisfactory factors. Positive review of course. Nothing to say about it quality , as the hair just looks like what is shown in the picture above. The hair is shiny, tangle free and silky soft. Unlike other hair extensions made of synthetic fiber hair, which touch coarse, this one is pretty soft, and it is totally like my natural hair. It only took me couple minutes to apply the extensions, forming an illusion that I have the gorgeous ponytail naturally. 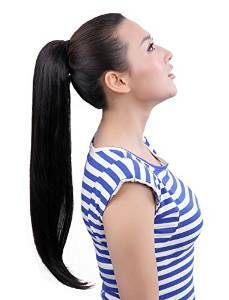 Maybe some may think it costs too much- $109, for a 16 inches ponytail hair extensions. But for me, it is worthy to get high quality hair extensions with a resonable price. I do not like synthetic fiber hair, and high quality hair extensions can last longer. I like this pack of ponytail hair extensions. Even though it is made of synthetic fiber hair, it looks, feels and touches like real human hair. The only one disadvantage of it may be its heat irresistance, so it can not be styled like my natural hair. But as it is only ponytail hair extensions, I don’t need to curl or straighten it. The hair took me 5 days to receive it, a relative fast speed. I have no idea how long it will last. Because I only wear it from time to time and do not style it using chemicals and heat, I think it can be long lasting and keep in good shape. 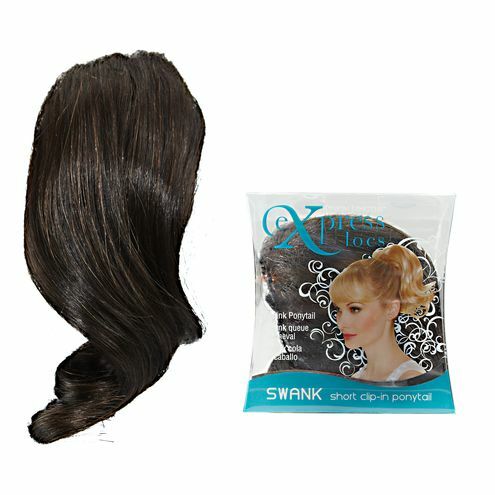 I chose this piece of creamy twist ponytail hair extensions to add instant length and volume to my thin ponytail. The final result appeared to be stunning. My ponytail seemed to get upgraded by the wrap around extensions, looking so beautiful. The extensions piece was shiny and tangle free. That’s why it could look so good when applied on my head. But, it was not soft. When I touched it, I could feel its being coarse, because it was made of synthetic fiber hair. But actually, I prefer this piece of ponytail hair extensions to the one made of real human hair. You know, this one only cost me £19.20. But the real human one may cost me about £50. For a temporary use, I think synthetic fiber ponytail hair extensions meet my requirement. If you want ponytail hair extensions urgently, do not choose this one as the shipping will take you about 10 days. 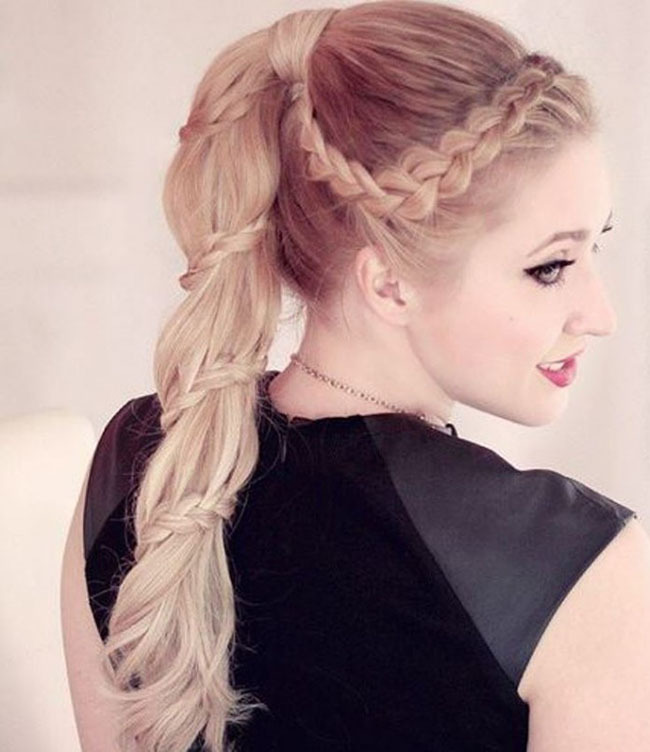 This Dutch braid ponytail hair extensions is so special. I do not need to braid it by myslef and then I can have a stylish ponytail hairstyle. 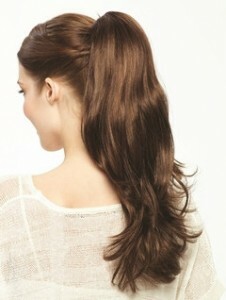 Only by clipping it in my thin and short ponytail, I can change my dull hairstyle into such a chic and eye-catching one. But the claw clip is a little big, I have to make a loss ponytail to well cover the trace of wearing hair extensions. Besides, the hair ends is a little dry. The extensions cost me $50.00, an acceptable price. It took me 5 days to receive the hair. I think the delivery is OK.